Available sizes: single, double & king size. 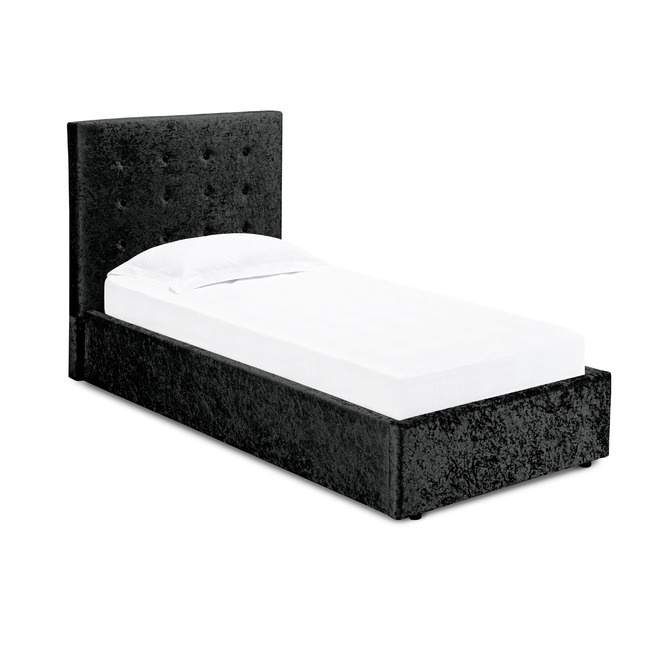 The Rimini Double Bed is a decadent and luxurious bed offering more than meets the eye. 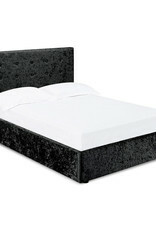 Enveloped in a sumptuous black crushed velvet fabric upholstery with coordinating button detail to the headboard, this gorgeous bed frame is sure to be a relaxing and eye-catching addition to any bedroom. 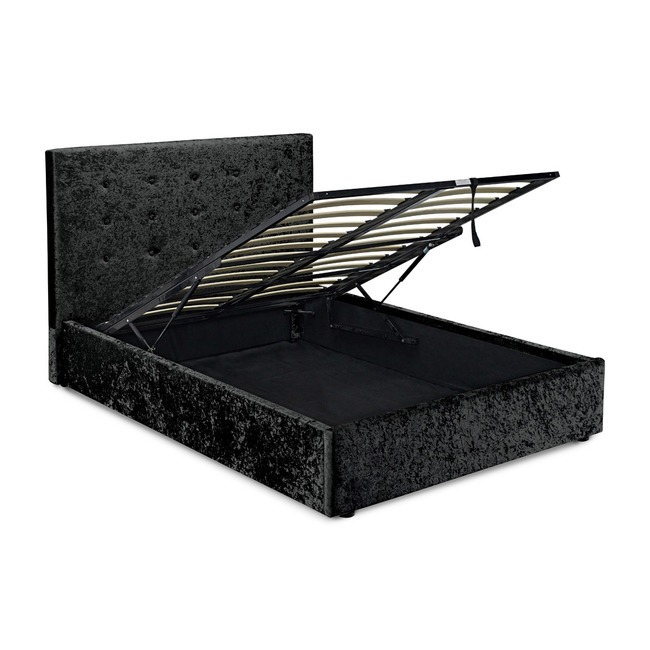 When space is at a premium, this versatile ottoman bed provides a generous hidden storage capacity simply by lifting the hydraulic assisted mattress base. Single:W:107.5 x D:206 x H:112 cm. Double:W:152.5 x D:206 x H:112 cm. 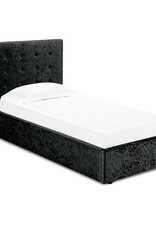 King Size:W:167.5 x D:216 x H:112 cm. Available sizes: single, small double, double & king size. Available colours: grey & dark tan. A beautiful bed with a touch of old world charm. 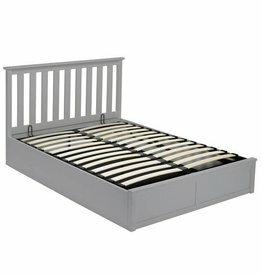 Available colours: grey & white. 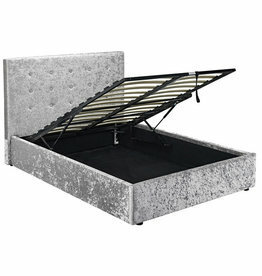 Rimini ottoman bed in silver. 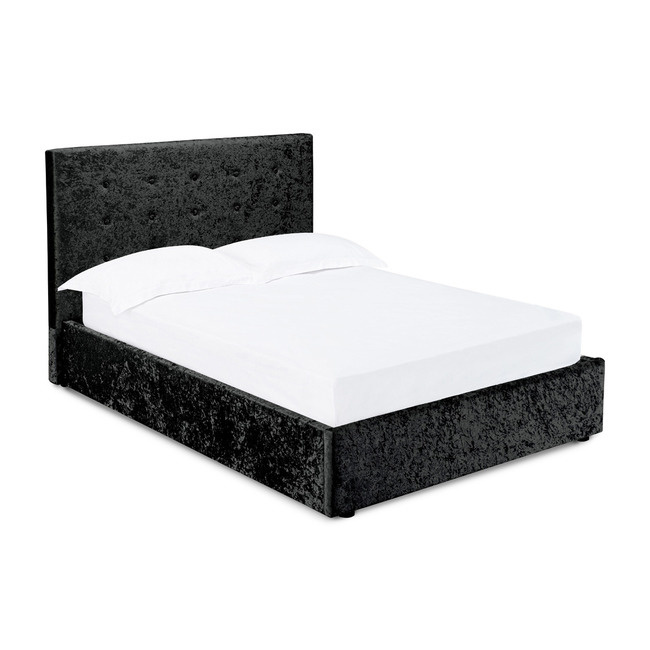 Enveloped in a sumptuous grey crushed velvet fabric upholstery.